Mayor Villaraigosa facing 'stiff resistance' to LA Schools takeover attempt; White Flight from SF Schools - nothing new? house's Education Committee." The mayor is going to force the issue, and it's not going to be a good thing." Such objections reflect the difficult road ahead for Villaraigosa, who has made the takeover of Los Angeles schools the centerpiece of his young administration and staked much of his political capital on winning that fight. In Los Angeles, the mayor's takeover plan took a drubbing at a special hearing called by the Los Angeles Board of Education. ...Either implicitly or explicitly, all of the speakers warned against a mayoral takeover in Los Angeles. ...Carmen Colon, a parent from Brooklyn who is president of the Assn. of New York City Education Councils, warned that the school takeover by New York Mayor Michael Bloomberg had marginalized parents with a relatively rivial advisory role." All I can say to you is, it's your city, it's your school, it's your child, and don't let them forget that," she said. Ismail Vargas, assistant director of a parent group in Chicago, said the school takeover in his city by Mayor Richard M. Daley had resulted in a more aloof, less responsive school system. The SF Chronicle is running a weeklong series on San Francisco schools, with a focus largely on white middle class parents' fears' of public schools. Little context is given by the several reporters for the history of 'white flight' and more modern middle class flight from SF and other urban school districts. The reports also do little to explain the complexity of how urban school parents and students and civil rights groups have historically fought for equity and social justice to ensure an equal opportunity for all students while other parents have abandoned the public school system. The reporters unfortunately frame their pieces to the Chronicle's mainstream audience who are eating up the articles as if they reveal some kind of great insights into the minds of the parents who 'reluctantly choose private schools'. Responding to a few parents concerns regarding desegregation plans and student assignments for their children, I have always tried to put it out there that we, as School Board members, have to approach our often difficult policy making role with a sense of social and educational justice. I don't think anyone on the school board wants a 'race-based' assignment system or a 'hard line'approach to this, and we all know [i think] the courts will only allow the use of race [or ethnicity] if it is used as some kind of assignment 'tie-breaker' or one of a number of factors used together to get at ethnicity, socio-economic background, [or other] various privileges or disadvantages, etc. I agree that we have to balance the interests of various types of parents. But it seems to me that our assignment system, like our previous desegregation efforts from the 60's to the present, have to be driven by our concerns for equity and social justice for the students that lack an 'equal opportunity to learn'. [Of course] we have to also be concerned about the continuing white and middle class flight. [But] I think it is wrong to blame that flight historically on civil rights advocacy and folks fighting for educational justice for communities of color and lower income neighborhoods or on a system that was doing its best to try to address the needs of the disenfranchised. But I do think remedies that have been crafted by our lawyers over the years, usually behind closed doors, have not involved enough parent and community based organizations, with the exception of the NAACP. We have to change that. SACRAMENTO - The struggle over the future of the Los Angeles public schools played out Tuesday in dueling lobbying campaigns across the state. Mayor Antonio Villaraigosa pitched his district takeover plan to impassive labor leaders in the state capital, as disgruntled parents in Los Angeles warned the school board about the shortcomings of mayoral control. The fight for control of Los Angeles Unified escalated Tuesday, with Mayor Antonio Villaraigosa lobbying union and business leaders in Sacramento and the district flying in opponents of takeover efforts from around the country. Los Angeles Unified - which already has hired a public relations firm to promote its agenda - spent $1,500 to fly in parents from New York City, Chicago and Detroit - who will meet today with parent groups in Los Angeles and encourage them to fight mayoral takeover. Critical issues will be discussed and policy made that will no doubt change Los Angeles and be an example across the country. The conference will feature a morning Symposium that will feature national Latino and African American leaders who will dialogue on issues of immigration, labor, politics, health, economic empowerment and violence in our communities, schools and jails. Rev. Al Sharpton and Christine Chavez, granddaughter of Cesar Chavez will headline the morning symposium that includes Mayor Roosevelt Dorn of Inglewood, Ca, Mayor Eric Perrodin of Compton Ca, Mayor Letica Vasquez of Lynwood Ca, State Sen Gloria Romero & Assemblymember Karen Bass, & Moderator Dr Earl Ofari Hutchinson. Registration fees for the conference are free. Poor News Magazine intern Antonio Williams tells it like it is on the racist and class biased CA High School Exit Exam. Of the 46,700 seniors who have failed the test, 20,600 are designated as limited English learners and 28,300 are very lo-income. According to Multiple Measures Approaches to High School Graduation published by the School Redesign Network at Stanford University, alternatives are currently being used by several states such as Oregon, Vermont, Washington and Maine. The Stanford Study stated that rather than being detrimental to student learning, alternatives such as the Senior Year Demonstration encourages an ambitious range of thinking and performance skills in students who participate. As I, a young African/Latino PoorNewsNetwork reporter watched the young Latina student of Richmond High School capture a corporate media minute in April and spit truth, I felt hope. As I, a young African/Latino high School student watched a young person of color question a stereotype to thousands of corporate media viewers, I felt possibilities. As I, a young brother of color who failed the exit exam watched resistance to the racist and classist Exit Exam. I didn't feel like completely giving up. At least through the media lens, I felt like we were listened to. Maybe sometime in the future we will be heard. As Congressional negotiators go into the ugly process of making immigration 'sausage' out of HR4437 and the equally racist Hagel-Martinez Senate bill [S.2611] many immigrant rights activists expect the outcome to be one of the worst most anti-immigrant laws in our nation's history. Unfortunately and tragically, they did not get it right: unfortunately, because our nation desperately needs good reform; and tragically because the positive provisions in the bill have been fatally compromised by the negative measures included in the bill. Moreover, in a conference with the House, we expect that the bill's positive provisions will be further eroded, if not eliminated, and the negative provisions made more draconian and unfair. - A fundamentally unworkable three tiered legalization program with exorbitant fees that will be a nightmare to implement. - Local and state police encouraged to enforce federal civil immigration law, a body of law that most do not understand and the enforcement of which will dramatically hamper community policing and discourage victims and witnesses of crime from coming forward. - Increased number of people deported for minor crimes and misdemeanors, changing the rules in the middle of the game: Long time legal permanent residents will be mandatorily deportable for minor crimes such as having three DUI's (Driving under the Influence) no matter how long ago they were convicted and despite their rehabilitation, extensive family ties, and length of time in this country. - U.S. citizens and legal permanent residents criminalized for helping family members or friends. for any immigration benefits expanded based on the sole finding that the child is or was a member of a gang, with no requirement that any criminal act was committed or there was actual gang activity or involvement. And lastly, one of San Francisco's treasures, longtime civil rights, women's movement, and human rights leader Elizabeth 'Betita' Martinez just wrote a great piece which places the immigration debate and the emerging immigrant rights movement in a proper historical and political context. WHAT DO IMMIGRANT RIGHTS ADVOCATES WANT? One of the proudest days of the year for faculty members at SF State University, where I teach, is Commencement Day - the time when we formally acknowledge the hard work of our new graduates - the teachers, new 'rockers', new fighters for peace and social justice. The adrenaline from serving as a faculty marshal also helps me during the final grading week as I always struggle to grade the research papers turned in this past week and assess the work of my 220 or so students before this coming Friday. *over 8000 smiling graduates and their families and friends on a beautiful SF day - congratulations to my Asian American Studies, Ethnic Studies, Liberal Studies students and all of the new teachers from our College of Education! 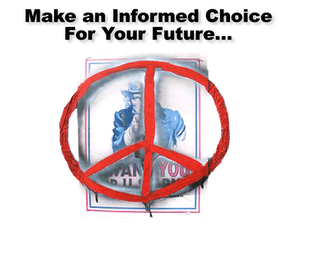 *self-proclaimed rocker Neil Young asking students to consider a vision of peace when ever confronted with thoughts of war or human suffering. 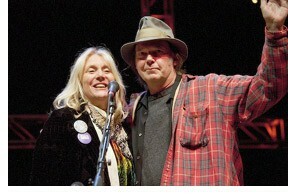 Young and his partner Pegi Young, co-founder of The Bridge School for young people with disabilities, received honorary doctor of humane letters degrees. Pegi said in her remarks that one of the mottos of the school is - Just Because People Don't Speak Don't Mean That They Don't Think. I am proud our university has recognized the courageous work of Neil and Pegi. * Asian American Studies student activist and rapper Valerie Francisco's incredible commencement speech which called upon graudates to apply Paulo Friere's concept of humanization in their future work. More on Valerie and PACE [Pilipino American Collegiate Endeavor]. When Valerie Francisco began rapping years ago, she gave herself the stage name Hood Scholar. Now Francisco is the hood recipient for the College of Behavioral and Social Sciences and a fledgling scholar in sociology and Asian American studies. Francisco, a native of Parañaque, Philippines, moved to the United States at age 9. She spent most of her adolescent years in Concord, in the predominantly Latino barrio of Monument. Her life experiences have shaped her academic interests. "When you're growing up in poverty, not having anything, and everybody around you doesn't have adequate housing, I really saw -- as a sociologist -- the inequalities," said Francisco, who will also be the student speaker at Commencement. Her community activism began at age 15 when she organized protests against Proposition 21, a California ballot initiative passed to increase punishment for gang-related activities. Francisco is also a founder and the mass campaign officer of babae, a San Francisco nonprofit that addresses the rights and welfare of Filipino women in the United States. As a scholar, Francisco studies immigrant women's experiences relative to global and local institutions. Francisco has been a participant in Career Opportunities in Research, a federally funded program that helps minority students become competitive applicants to doctoral programs in mental health, providing each of them with a $20,000 scholarship and faculty mentorships. This fall she enters the doctoral program in sociology at City University of New York. 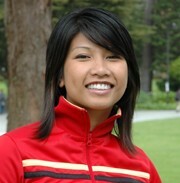 She plans to become a university professor and remain active in the Bay Area's Filipino community. Francisco performs hip-hop music with Rhapsodistas, a collective comprised of four young Filipinas. Now known as Sho Shock, Francisco describes her style as "conscious and progressive but hyphy." 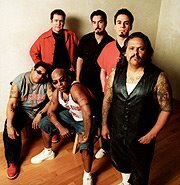 Hyphy is a Bay Area-born hip-hop movement that is a combination of "hyper" and "fly." "My art is a way to talk to people who wouldn't come to see me give a lecture," she said. "My people, my community and my family are most important to me. They are my bedrock." SF schools refusing cooperation with ICE immigration police - Support 10 Principles for Change! The US Senate will likely crank out their version of 'comprehensive immigration reform' by tomorrow. How is the national debate impacting our schools here? In San Francisco we have had ICE [Immigration and Customs Enforcement] visits to our schools. But our staff are not turning anyone over to the immigration police and we are doing everything possible to protect the human and civil rights of our students. School officials in San Francisco are outraged after immigration agents tried to verify the identity of two students whose mom was held on illegal immigration charges. The school refused to cooperate with the agents. On May 5, an immigration agent made an early phone call to the principal of Presidio Middle School. The school refused to cooperate saying that information was confidential. Agents of the U.S. Immigration and Customs Enforcement then made a formal request through a letter faxed to the school. Our legal counsel David Campos and his staff are drafting school district policies that will protect the privacy rights of immigrant students and families in our district. A proposal will likely be brought to the board in our next Board meeting on June 13th. Illegal employer retaliation against undocumented workers - Young Workers United, UNITE-HERE and others are reporting raids and employers who are making calls to the immigration authorities to have folks deported. Amendment that adds anti-discrimination, privacy and due process protections to the employment verification system passes; Kennedy amendment to strengthen labor law defeated. STOP ILLEGAL EMPLOYER RETALIATION AGAINST IMMIGRANT WORKERS! On May 22, the San Francisco Labor Council voted unanimously to endorse the national statement by the National Network for Immigrant and Refugee Rights(NNIRR). New Immigration Reforms Must End Discrimination Against Lesbians, Gays! We need to change the course of the debate, but how do we do that? The National Network for Immigrant and Refugee Rights (NNIRR) with the American Friends Service Committee (AFSC), in collaboration with local partners, will hold a telephonic press conference to highlight nationwide community opposition to the Senate "Compromise" immigration bill now under consideration. 5/24: National Youth Call-In Day for Immigrant & Human Rights! On May 24 join thousands of youth from across the United States in a national call-in day for immigrant rights. This will be our last and best chance to impact the immigration debate in the Senate. That afternoon, a smaller group of youth from across the country will be at the Capitol in Washington, DC sharing personal testimony at a national press event. 1. Adjustment to legal status for undocumented immigrants. 2. Clearing of the immigration backlog. 3. Expansion of legal immigration opportunities to account for both family-based immigration and the needs of our economy. 4. Provisions that keep families together. 5. Stronger protections for workers, including repeal of employer sanctions and path to citizenship for future workers. 6. Ending of all detention for mere civil immigration violations and repeal of mandatory deportation. 7. Stronger civil rights standards for enforcement efforts, including ending of racial and ethnic profiling and selective targeting of communities. 8. Full due process rights and judicial review for individuals in removal proceedings. 9. No state and local enforcement of immigration laws. 10. Reasonable, just, and humane enforcement and border policies. "Study hard, do your homework, listen to your teachers, and prepare to pass the high school exit exam. I have every expectation that the high school exit exam is here to stay." But to many San Francisco and Bay Area parent and community activists, this advice was both patronizing and a slap in the face to them because of the widespread acknowledgement of the unequal learning conditions for the students of color, English learners and others who have been disadvantaged by the high stakes testing and 'accountability' systems pushed by Democrats like O'Connell and Republicans like President Bush and CA Gov. Schwarzenegger. "It's devastating news. Now, again, they're robbing the students of their diplomas," said Raúl Alcaraz, organizer of the Richmond High School branch of Youth Together, a social justice organization. "It was a very irresponsible decision to be made two weeks before their graduation." We must also acknowledge that in many of our urban schools, more than 50% of the students who enrolled in 9th grade have dropped out by their senior year. We cannot write off these students without also looking at ourselves, the policy makers and the policy enforcers. Judge Freeman has ruled that we are not meeting our obligation to offer every student a high quality education. Californians should demand that we improve the quality of education for all students. The California High School Exit Exam is an important indicator of our ability to teach all students to achieve what we want them to know and be able to do by the time they graduate from High School. However, passage of one test should not be the only way we determine who does and who does not receive a diploma. Finding common ground for small schools in San Francisco - Klonsky, Meier and Ravitch? We have finally introduced a resolution this week at our San Francisco Board of Education on small schools by design that small schools advocates here hope will get our district back on track in supporting progressive community-oriented smaller learning community reforms like SF's successful June Jordan School for Equity. This dialogue posted on small schools movement leader Mike Klonsky's blog displays the common ground that small schools can bring to the educational reform debate. If these two can find common ground, why can't we have peace in the Middle East? Veteran educators Deborah Meier and Diane Ravitch are usually at odds, philosophically and practically. But they have opened up a dialogue which has led them to common ground. Neither has any tolerance for the current standardized testing madness. The latest issue of Edweek carries their co-authored piece: "Bridging Differences," which reads like a memo of understanding between the U.S. and China. They still are miles apart on issues of mandated curriculum, for which Meier has no use. Unlike Deborah, Diane has long supported an explicit, prescribed curriculum, one that would consume about half the school day, on which national examinations would be based. Diane believes in the value of a common, knowledge-based curriculum, such as the Core Knowledge curriculum, that ensures that all children study history, literature, mathematics, science, art, music, and foreign language; such a curriculum, she thinks, would support rather than undermine teachers’ work. Deborah, while strongly agreeing on the need for a broad liberal arts curriculum, doubts that anyone can ensure what children will really understand and usefully make sense of, even through the best imposed curriculum, especially if it is designed by people who are far from the actual school communities and classrooms. For me, the most interesting point of agreement in this amazing dialogue, has to do with small schools. Meier has long been views as the godmother of small schools, the founder of the first of the modern small schools, Central Park East in New York, and a consistant voice in their defense. Ravitch has argued that we should be worried about schools getting "too small" to support her core curriculum. (See my Nov. 9, 2005 blog post: "Diane Ravitch Barking Up the Wrong Tree "). But they both find common ground in their critical view of the current, often thoughtless, mass-replication approach to small schools. Deborah is a pioneer of the small-schools movement. Diane, while not an opponent of that movement, has questioned whether such schools have the capacity to offer a reasonable curriculum, including advanced classes. Yet here, too, we both fear that a good idea has too often been subverted by the mass production of large numbers of small schools, without adequate planning or qualified leadership and with insufficient thought given to how they might promote class and racial integration, rather than contribute to further segregation. I just received this through the CA School Boards Association - State Superintendent O'Connell has just announced that a CA Supreme Court ruling now allows the CAHSEE [CA High School Exit Exam] to go into effect as planned, despite the Alameda County Court's decision on May 12 that blocked the CAHSEE from implementation this year. "I am extremely pleased that the Supreme Court has reinstated the California High School Exit Exam as a condition for graduation. As a result, school districts can continue their graduation exercises as planned before this litigation began. "I will communicate with districts today to ensure they are aware that the exit exam is a graduation requirement. Students who have worked hard to pass this exam will be given a diploma that signifies their mastery of essential skills in reading and math. I hope that this decision will give students in the class of 2006, their parents, and their schools certainty. "We will not give up on the students who are still struggling to pass. They will continue to be given every option to master those skills theywill need in order to succeed beyond high school." "In sending this case to the Court of Appeal, the Supreme Court has provided us an opportunity to argue the merits of this case." The Alameda County Superior Court on May 16th had unfortunately dismissed the other CAHSEE lawsuit called Californians for Justice Education Fund v. the State Board of Education which was brought by the grassroots Californians for Justice and Public Advocates. But Public Advocates filed late yesterday filed an emergency appeal with the California Supreme Court. Yesterday’s filing asks the Supreme Court to consider and reverse Judge Freedman’s denial of relief on an expedited basis. Given the stay of the Valenzuela injunction, the Californians for Justice case now provides an alternative basis for a delay in the CAHSEE diploma denial penalty. Click here for the CFJ case brief. So the fight is still on to ensure an equal opportunity to learn for all students and an end to racist and class-biased standardized tests like the CAHSEE which discriminates against immigrant, ELL, African American, Latino, and Special Education students and causes more drop outs in our high schools. Today SF Board of Education members introduced a resolution [Introduction of Replacement Program for JROTC] that would replace the JROTC programs in the SF Unified School District with some alternative programs to be developed by a new task force and district staff. Passing the resolution would require at least 4 out 7 votes on our school board. It will likely be voted upon on Tuesday, May 27 at our 7pm Board of Education meeting. See SFist blog's clever R.O.T.C in the U.S.A posting. See SF Chronicle reporter Heather Knight's piece from this morning. 1) A new policy on small schools by design in the SF Unified School District [thanks to June Jordan School for Equity parent and teacher leaders like Matt Alexander and SFOP and the small schools movement in SF for this]; 2) policy to support bilingual education, Mandarin and other language immersion programs and language equality in the SF Schools [thanks to Chinese and non-Chinese parent and teacher organizations and supporters of bilingual education for bringing this forward - the resolution is posted at the bottom of this blog entry]. Below is the language for the JROTC resolution as introduced today. Some of the language is taken from a 1995 resolution by Commissioner Dan Kelly, a co-author to Sanchez's resolution, which failed by a 4:3 vote over 10 years ago. The coalition of teachers, parents and community organizations that have come together to support the Sanchez resolution was initiated at the BASE to Stop the War Teach-in at Mission High School in April. For more information - contact Sandra Schwartz of the American Friends Service Committee in SF - 415-565-0201 ext. 12 or email her at sschwartz@afsc.org. Here's a link to their resource page re JROTC in schools. WHEREAS: The San Francisco Unified School District cannot justify committing any funding to a JROTC program because its connection to the U.S. Department of Defense suggests that discrimination against some groups is tolerable. BE IT FURTHER RESOLVED: That the Board of Education calls for the creation of a special task force to develop alternative, creative, career-driven programs which provide students with a greater sense of purpose and respect for self and humankind. 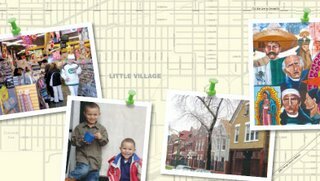 WHEREAS: A recent demographic review of the Mandarin speaking student population in the District shows that they are spread throughout the City but concentrated not only in the Chinatown/NorthBeach area, but also in the Western Richmond and Sunset Districts and several Southern neighborhoods as well. BE IT FURTHER RESOLVED: That the Superintendent and staff will work with parent and community groups to develop a comprehensive and strategic plan to strengthen and expand Mandarin language immersion programs in the District and to investigate the possibility of a new Russian language immersion program, and present this plan to the Board by the last meeting in October 2006. SF's Teachers for Social Justice are holding their major fundraiser this Saturday to raise funds for their annual Teaching for Social Justice conference for Bay Area teachers, parents and communities in October. Besides checking out the music of SF Mission District's own Los Mocosos, you can also see the powerful film Granito de Arena which documents the Mexican teachers movement and other social movements for a democratic Mexico. When I met filmmaker Jill Freidberg at the National Coalition of Education Activists conference in Philadelphia in 2004, she had just finished the rough cut of the film which she previewed to the NCEA activists. When she notified me that she was coming out to SF in early January, I worked with the leadership of United Educators of SF, T4SJ and local activists to make sure that we could use the film to bring social justice educators and parents together in SF. Please join us and support Jill and her work. Award-winning Seattle filmmaker, Jill Freidberg (This is What Democracy Looks Like, 2000), spent two years in southern Mexico documenting the efforts of over 100,000 teachers, parents, and students fighting to defend the country’s public education system from the devastating impacts of economic globalization. Freidberg combines footage of strikes and direct actions with 25 years worth of never-before-seen archival images to deliver a compelling and unsettling story of resistance, repression, commitment, and solidarity. Granito de Arena is a story of resistance – the storyvof hundreds of thousands of publicschool teachers whose grassroots, non-violent movementtook Mexico by surprise, and who have endured brutalrepression in their 25-year struggle for social andeconomic justice in Mexico's public schools. Join us afterwards for refrescos and dancing with LosMocosos Live! at New College Cultural Theater – 766Valencia. This event will benefit Teachers 4 Social Justice and New College Scholarship Program for Bilingual Students. For more information visit http://www.t4sj.org/ or call415-516-0338. See the excellent review from NACLA as well. Spring Graduation. Bilingual/Multicultural Teacher Preparation Program. Shasta Hall Auditorium. 3 .P.M. May 20,2006. Speaking. Dr. Duane Campbell. This is a speech, not an essay. To th graduates and their families. We come here to celebrate your achievement as graduates. We are very proud of you. You have spent over 4 years getting a B.A., and now one year learning to be a teacher. And, now you are ready. This is an exciting time to be entering teaching. California, our state, is changing. On May 1, we witnessed the largest demonstrations in U.S. history. It was the largest demonstration in Sacramento history. We may now be witnessing the birth of a new human rights movement. Like the African American movement of the 50’s and 60’s, the Chicano movement of the 60’s and 70’s, the feminist movement of the 70’s. We can join in and make this happen. To make history. Or, we can watch it go by. Ten years from now when your children ask, teacher, what did you do in the movement, what will you say? Oh. I was too busy getting a new ring tone on my cell phone. The demonstrations in Sacramento were fantastic. What can we do: what can teachers do to build this movement? Educate, agitate, organize. Si se puede. What is happening here? California is changing. There is a massive migration of people. What is the cause of this migration? Economics. Its real name is capitalism. By now, as a college graduate, you should know and understand capitalism. If you don’t, go back to your liberal studies Dean and tell him that the faculty did not do their job to prepare you. This is both an exciting time, and a difficult time to enter teaching. You need to understand capitalism in order to understand the problems of school reform. Next year will be a difficult year for you. We have packed in almost all the information which we could. Now, it is time for you to practice. We learn to teach by teaching. It is further a difficult time if you believe in teaching for justice and for democracy. There are many, including our elected officials, who think that schooling is just about reading, writing, and arithmetic. These are the people who support the current testing mania. They are the ones who support the high school exit exam which only measures English and math. These are the people who have been in charge of our school system for the last twenty years while so many of our brothers and sisters have been failed. But, schooling is also about democracy. We need to repair our society. We need to create a multicultural/multiracial democracy; and we are not there yet. You can participate in that effort as a teacher. You can teach kids to get along, to value school, to work cooperatively with each other. At the Single subject level, at the high school, we have to teach kids that school matters; that kids can create and determine their own future, that education can serve to mobilize people. When we are really honest with ourselves, we must admit that our lives are all that really belong to us. So it is how we use our lives that determines what kind of people we are. ..I am convinced that the truest act of courage..is to sacrifice ourselves for others in a totally nonviolent struggle for justice. This is our task as teachers. Teaching for social justice is a totally non violent struggle for justice. Please remember, your integrity is a valuable resource. Be true, be authentic, to what you believe in. Don’t compromise yourself. Don’t compromise your commitments to justice and democracy. You may have to use Open Court and Saxon Math, you may have to teach to standards. If you are in high school you may have to teach to the stupid, right wing, ideologically scripted History/Social Science standards which try to make certain that students never study racism, the war, or the economy. But you do not have to abandon your students and the struggle for justice. Nothing, no dollar amount, no position, is worth compromising your personal integrity. Yes, we will have to make compromises, but not of our integrity., not of our most basic values. That is what you have been prepared for, to join in and to continue the struggle for justice in our schools. We, in BMED, have been engaged for over twenty years now in organizing for social change. We have been organizing for educational justice. We have introduced you to this project. We invite you to join us in this journey. You are our change strategy. We prepare teachers and place them in the school. But, you have the hard part. You have to make your classroom a place of dignity, and respect, and justice. In times of fundamental change, supporting networks are essential. We also want to support you and to stay in touch with you. Good luck, Please stay in touch. After a couple of years of practice, we invite you to come back to further develop your skills in our graduate program. After an emotional debate fraught with symbolism, the Senate yesterday voted to make English the "national language" of the United States, declaring that no one has a right to federal communications or services in a language other than English except for those already guaranteed by law. The measure, approved 63 to 34, directs the government to "preserve and enhance" the role of English, without altering current laws that require some government documents and services be provided in other languages. Opponents, however, said it could negate executive orders, regulations, civil service guidances and other multilingual ordinances not officially sanctioned by acts of Congress. Here's a bright idea. Instead of wasting time on "symbolic" measures, why doesn't Congress do something about the millions of illiterate Americans who can't read or speak English (and no, Rep. Tancredo, I'm not talking about Mexican immigrants). Last year, the National Assessment of Adult Literacy found that 11 million adults were nonliterate in English. Another thirty million adults were literate only at the most basic level, meaning they had only the most simple and concrete literacy skills. What's the point of a law mandating all government papers be in English when millions of Americans still can't read or comprehend the document anyway? Oh yeah, I know the point. It's call midterm elections. If Congress cares so damn much about the English language and having Americans learn English, maybe they should drop "symbolic" measures and start giving our educational system the attention it deserves so that we may finally rid ourselves of this scourge of illiteracy that is plaguing our nation. As one of the many immigrant rights activists that fought CA's Proposition 63 way back in 1986 with Californians United Against English Only [Prop 63] [which passed with 73% vote in CA], I worry that the backlash against immigrant communities which in the 80's had started as a fringe racist and xenophobic cult around self-hating US Senators like S.I. Hayakawa [the former president of my university SF State] and population control eugenicists like John Tanton has now grown some pretty hairy legs that stretch now to the highest levels of power in Washington. For more on the rise of US English, FAIR and other groups in the English Only movement see Jim Crawford's amazing website and Chapter 6 from his Hold Your Tongue book on the English Only Movement. The Southern Poverty Law Center and Political Research Associates also have great background on the radical right wing and reactionary forces behind English Only and anti-immigrant forces in the US. See my Boston colleague Doug Brugge's excellent piece - The Anti-Immigrant Right - from 1995 for the PRA's newsletter The Public Eye. Despite the backlash, language rights and immigrant rights activists must continue to fight the attacks and push for a proactive agenda in Washington, Sacramento and at the local level as well. Over 10 years ago, my organization the Northern California Coalition for Immigrant Rights organized a proactive day of celebration, resistance and building power in Sacramento. Next week we continue in that tradition with the 10th Annual Immigrant Day on May 22nd 2006 in honor of California’s immigrants, whose presence and work continue to strengthen our communities and our state. Mobilization at the State Capitol in Sacramento. Join hundreds of immigrants and advocates in raising our voices on behalf of immigrant families throughout the state. This year the Governor’s budget proposal once again targets immigrant seniors and disabled on CAPI and SSI, families who participate in CalWORKs, child-care workers, and critical health care and human services for low-income families. Immigrant Day 2006 will bring a unified voice to Sacramento in support of immigrant communities and working families. Join us May 22nd in Sacramento! We see the anti-bilingual Unz Initiative [Prop 227] as an opportunity to increase our political participation as immigrants, to build cross-community alliances, and to bring together all people who believe in the rights and dignity of immigrants and educational equality for all. While the NCCIR no longer exists, other alliances and coalitions have formed to continue the fight for immigrant rights and language equality in our region. Despite the Senate's English- Only Vote this week, we must continue to seek out the opportunities to increase grassroots political participation, build and strengthen progressive labor/community alliances and advance a relevant proactive agenda for human rights and dignity for all immigrants and all peoples. thanks for the lead on the L.A. Weekly story. Here are some additional thoughts on big city Mayors and schools. Antonio Villaraigosa, (D) Mayor of Los Angeles, has proposed having the Mayor’s office take over the governance of the Los Angeles school district in response to the persistent failure of the schools. We in Sacramento went through a parallel cycle of Mayor's strong intervention in schools from 1994-1998. Frankly the "reforms" did not change the schools much. While there may be some advantages to the Los Angeles Mayor’s proposal, it requires a substantive change in governance. What could a progressive Mayor do to improve the schools that would not require a constitutional change? Mayors could deploy police and probation to eliminate gang violence around and near the schools. School safety is a major issue. Mayors could use their political capital to achieve adequate funding of schools. Note, California has under funded its schools for at least twenty- five years. 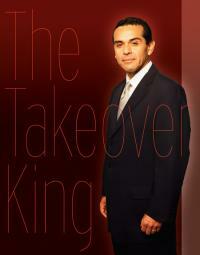 Mayor Villaraigosa was Speaker of the California Assembly, the body which writes the budget. During his time as Speaker, California did not significantly improve school funding. Mayors could provide safe after school facilities for recreation and home work help. Mayors could provide safe and modern buildings for schools rather than over crowded temporary building. Readers are invited to add to this list. This week's LA Weekly features a fascinating piece on Mayor Antonio Villaraigosa's efforts to take over the LA schools from control by their democratically elected Board of Education. As Billionaire Eli Broad, Richard Riordan, and other conservative and big business forces pushed for years for Mayoral takeovers of democratically elected school boards in San Francisco, San Diego, Los Angeles and other urban districts, LA has been the recent focus since the Mayor stunned his parent, teacher and progressive allies with his takeover plans this year. Villaraigosa made a mayoral takeover of the Los Angeles Unified School District — the nation’s second-largest school system — his No. 1 policy initiative. And the opponent in the campaign is no longer Hahn, but L.A. Unified and the powerful teachers’ unions — which strongly oppose mayoral control. City Controller and Villaraigosa aide-de-camp Laura Chick, so effective in her blowtorching of Hahn during the last campaign, has already spent months turning the flame on L.A. Unified administrators, priming them for Villaraigosa’s attack. The sharp criticism has already caused Superintendent Roy Romer to accuse Villaraigosa of “trashing the district” to further his political agenda. I like how the the Weekly delves into Mayor Antonio's background as a former union and teacher organizer with UTLA [United Teachers of LA] and the current conflict with UTLA and CTA [CA Teachers Asscociation]. But the political intrigue with mayoral campaigning, sound bites, and ongoing shenanigans in Sacramento to push legislation make for the most useful parts of the feature. Villaraigosa came to the issue of municipal takeover almost by accident, embracing the concept late in the mayoral campaign as he and Hahn were competing to see who could be tougher on education. Yet as a former teachers’-union organizer, he seems almost uniquely qualified to lead such a campaign, the type who could pull a Nixon in China — a phrase he has used to describe himself. Bewildered teachers’ union leaders have offered no angry challenges to his plan, voicing instead a mixture of confusion and disappointment in the man they consider an ally. Lastly, LA wonks are now looking at San Francisco for some solutions to LAUSD's school funding crisis. Mayor Antonio and his staff are now looking at providing more local resources for Sports, Libraries, Arts and Music programs for their schools San Francisco style! Though our Mayor often tries to take credit for it, our SF $60 million/year local school support initiative was crafted by progressive Mission District Supervisor Tom Ammiano [and his former legislative aide Brad Benson and policy advocate Hunter Cutting] along with school board members like me Mark Sanchez and Jill Wynns, and championed by dozens of grassroots parent, teacher and education groups and passed overwhelmingly by San Francisco voters in November 2003. District officials repeatedly argue that Los Angeles should model itself after San Francisco, by providing a greater level of city funds to pay for children’s programs, arts activities and school safety. In Los Angeles, the school board held a special hearing to receive testimony from San Francisco city officials, who recently beefed up funding for children, but no one from the media covered the event. We'll keep our eyes on Mayor Antonio and his efforts to ram through his takeover bill in Sacramento to wrestle control from the LA Board of Education. But luckily there appears to be little support for Mayoral takeovers in San Francisco, a City with a rich history of sometimes wild, but fairly democratic elections. The SF electorate has also tended to support broad electoral reforms like district elections, public financing and instant runoff and choice voting to improve democracy in our City. Wednesday, May 17th - Remembering the anniversary of the 1954 Brown v. Board of Education US Supreme Court decision, the historic 2004 CA Williams case and the Valuenzuela case, decided on Friday, which successfully halted the CAHSEE [CA HS Exit Exam], at least for this year. The 2004 Williams case and last week's Valenzuela ruling expose the continuing lack of equal educational opportunities for African American, Chicano/Latino, English Learner and low income students throughout San Francisco, California and communities around the United States today. San Francisco Unified School District Student plaintiff Eliezer Williams, 7th grader at Luther Burbank Middle School in San Francisco's Excelsior District, and his father Sweetie Williams, at an ACLU press conference in 2000. Eliezer's school was infested with vermin and roaches, two of the three bathrooms were locked all day, every day, and children were afraid to play in the gym because they are worried that the cracked ceiling tiles will fall on them during games. On the 52nd Anniversary of the Brown v. Board of Education US Supreme Court decision Youth Together and Asian and Pacific Islander Youth Promoting Advocacy and Leadership (AYPAL) youth and allies will bring educational inequity issues to the forefront. The youth and their organizations are holding an accountability meeting with State Administrator Randolph Ward who currently 'oversees' the Oakland public schools. Hundreds of Williams’ Settlement complaint forms have been collected and will be submitted to the School District to demand concrete changes in the Public Schools in Oakland. (4:15-5-30pm, Lincoln Recreational Center, 250 10th St., Oakland. Free). More info. State’s responsibility to ensure basic equality in learning conditions. On August 27, the Legislature passed SB 550, SB 6, AB 1550 and AB 3001, defining standards for textbooks, teachers and facilities, establishing an accountability system to make sure schools provide these basic necessities, and providing new money to back it up. For more information about the Williams settlement or the legislation, contact Liz Guillen at (916) 442-3385, or John Affeldt and Jenny Pearlman at (416) 431-7430 at Public Advocates, Inc. See our website at http://www.publicadvocates.org/. For a copy of the legislation, go to http://www.leginfo.ca.gov/, click on Bill Information and enter the bill number. 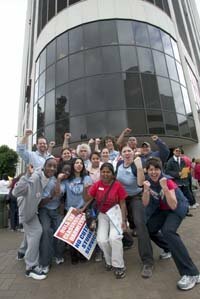 The spin of the progressive labor-initiated Alliance for a Better California is that they have leveraged their grassroots electoral power from the 2005 successful battle against Arnold's special elections into today's announcement of the Governor's New Budget Deal with CTA [California Teachers Association] and other education advocates. On the heels of an overwhelming victory for working families in November’s Special Election, today California’s teachers, nurses, firefighters and other concerned citizens scored another big win with a budget announcement that included $5 billion in funds for California’s schools. Throughout the Special Election campaign, the Alliance for a Better California called on Governor Schwarzenegger to repay the billions he owed California’s schools. After voters rejected the Governor’s damaging agenda, the coalition of teachers, nurses, police officers and firefighters remained together to ensure that the concerns of everyday Californians, like funding public education, remained in the forefront. In his Choosing Democracy Blog, Sacramento State University Professor and social justice activist Duane Campbell has posted the CTA statement which stresses the impact of the budget deal on low income communities and in urban school districts like San Francisco, Oakland and Los Angeles. CA High School Exit Exam blocked! California's high school exit exam is officially dead for this year -- unless state educators can persuade an appeals court to overturn the final ruling issued today by an Alameda County Superior Court judge. It's an 11th-hour upset victory for thousands of low-income students and English learners who sued the state on February 8, claiming that many students have not had the opportunity to learn the material on the exit exam because they went to substandard schools with unqualified teachers, insufficient textbooks, and squalid conditions. Here is the Bee's Dan Weintraub on the proposed school funding deal. Gov. Arnold Schwarzenegger has agreed to give schools an additional $5 billion over the next several years, settling a dispute with advocates who said he shortchanged education when money was tight, a consultant familiar with the deal said Wednesday. The governor will use part of a windfall of tax revenue to cover the additional amount that advocates claimed was owed to schools, said consultant Kevin Gordon, president of School Innovations and Advocacy. Education officials, including the California Teachers Association and state schools superintendent Jack O'Connell, said schools deserved an additional $3.2 billion and had filed a lawsuit designed to force the state to pay up. The deal is intended to settle the lawsuit. Schools will receive $2 billion of the $5 billion in the budget year that starts July 1, with the rest coming over several years, Gordon said. "In every school in the state, they care a whole lot less about politics an a lot more about meeting their basic fiscal needs," Gordon said. "The governor will undoubtedly be celebrated over the fact that he has stepped up to the plate on this issue and agreed to resolve it." As our schools in San Francisco Unified School District plan for $6 million of budget cuts for this year and probably double that amount of cuts for next year, we are closely following the deal making in Sacramento around the state budget and the reports of the $5 billion boom in state revenue. 2 days before CA Gov. Arnold Schwarzenegger's scheduled announcement of his "May Revise" budget proposal, the LA Times is already reporting this morning that the "education lobby" [CTA and various education groups] has successfully cut another deal with the Governor, this time ensuring that a good chunk of the $5+ billion in extra unexpected state revenue will be repaid to our school districts. With Extra $5 Billion, Governor Plans to Pay Debt, Aid Schools. "You can't put aside billions of dollars to retire debt while at the same time cut back on essential programs and services to senior citizens and the poor," Assembly Speaker Fabian Nuñez (D-Los Angeles) said. Nuñez, who has been demanding more money in the budget for schools, declined to comment on Schwarzenegger's plan for that area. The Times reports that the school plan came together this week in an agreement between the administration and the education lobby. Apparently the money will be stretched out over the course of several years, starting with a $2-billion down payment in the budget year that begins July 1. They also reported that the 'deal' will likely resolve the California Teachers Association Lawsuit filed in August 2005 to force the Governor to to fully fund education and keep the promise made to public schools and students by allocating the money owed to schools under state law. Our local San Francisco Unified School District number crunchers estimated last year that if the state had paid our district what it owed us under Proposition 98 guarantees, we would have had some $69 million more for our schools and students, and we would not have had to close, merge or move the dozens of schools we have in the last year and a half. The budget deal is great news but it is very bittersweet because we as a school board and district cannot undo the damage, especially to low income communities of color in San Francisco, caused by our several rounds of cuts and closures. His ruling comes just weeks before graduation ceremonies begin at 1,129 California high schools and just days after state schools Superintendent Jack O'Connell announced that 46,768 seniors -- 10.7 percent of the class of 2006 -- had not yet passed the exit exam. Of those students, 61 percent are poor, and 44 percent are English learners. Some parent, teacher, student activists like those in LA's Coalition for Educational Justice have stressed the Racism and Class Bias of the exam itself. But the CFJ/Public Advocates suit and the Valenzuela case both focus on the educational injustice faced by most African Americans, Chicano/Latinos, English learners, and low income students who still do not have an equal opportunity to learn in California's public schools from San Francisco to LA. But attorney Arturo Gonzalez of the San Francisco law firm Morrison & Foerster, who brought the lawsuit challenging the exam, said he was thrilled with the judge's tentative ruling. "I felt strongly that the state should not deprive a student of a diploma unless the state can say that every student has been fairly and properly prepared for that test," Gonzalez said. "There is overwhelming evidence that students throughout the state have not been taught the material on the test. And many students have been taught by teachers not credentialed in math and English." Gonzalez said he filed the suit after reading news reports last fall that about 100,000 seniors were poised to be denied a diploma. The suit, Valenzuela vs. California, was named for its lead plaintiff, Liliana Valenzuela, who, like Iris Padilla, is a Richmond High senior. According to the suit, Liliana maintains a 3.84 grade-point average and is 12th in her senior class of 413 students. She has passed the math portion of the exam, but not the English portion. Her first language is Spanish. The suit said that students who have repeatedly failed the test -- especially English learners -- have not had a fair opportunity to learn the material because they are more likely to attend overcrowded schools and have teachers without proper credentials.